Thousands of claims are filed every year due to slip-and-fall injuries. Many of the victims fail to get legal assistance when they need it. Allow our slip-and-fall attorneys in Garland, TX, to fight for compensation for your pain, suffering, and loss of work. Whether the accident occurred on private property, at a place of business, or on public property, you can depend on Williams & Thorson, LLP to provide the fervent representation you need. Our slip-and-fall accident attorney has extensive experience in defending those who have been injured due to the negligence of others. At the same time, we recognize that the consequences of a these types of accidents go beyond financial problems. The emotional stress on you can be overwhelming and affect the entire family as well. Let us fight for your rights and for the compensation you deserve. 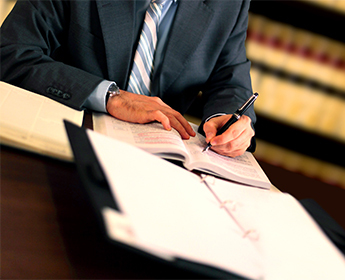 Know your rights, and depend on our premises liability attorneys when you've had an accident. Most people do not realize that they can take legal action even if the offending party claims to not be responsible for the accident. Many premises liability injuries are caused by negligent management or control of the premises by the property owner. According to building codes and state law, the owner or operator of a property is legally responsible for the safety of others on their property. This includes residents, visitors, employees, and other individuals. Wet floors, damaged stairs, uneven sidewalks and poorly lit walkways are examples of hazards. Let our premises liability lawyer fight for your rights and help you receive the full compensation you deserve. Contact our premises liability attorneys to see how we can help you recover damages for pain and suffering. We proudly serve clients throughout Garland, Mesquite, Rockwall, Richardson, and Balch Springs, as well as the DFW Metroplex.